This is not the same what I want. 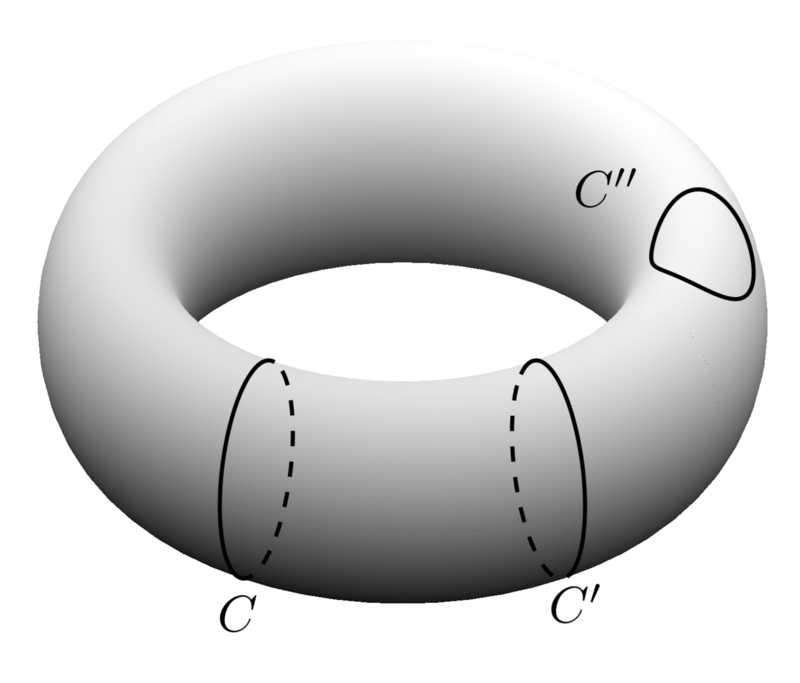 How can I do the desired torus? 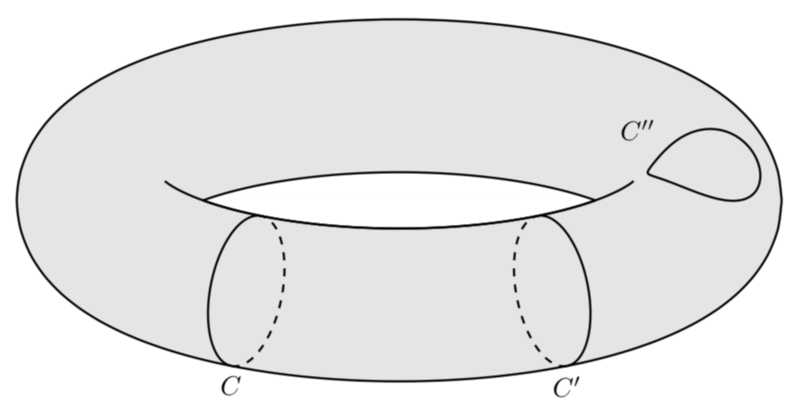 The question of how to draw a torus with TikZ is a rather old one and has several excellent answers. And the most spectacular outputs have (IMHO) been achieved with asymptote, which has, unlike TikZ, a 3d engine. However, it turns out that if one aims at 3d vector graphics, the efforts required drawing 3d tori are more substantial than one may naively expect. This raises the question of whether or not it is possible to make TikZ discriminate between visible and "hidden" points on the torus surface. After all, the analogous discrimination has been achieved for spheres. The answer is yes. They determine where the visible and/or hidden pieces of cycles wrapping the torus start or end. Note, however, that the contour vcrit2 may, depending on the view angle \tdplotmaintheta, have self-interactions. This is why there is a discriminant in the below code. As you can see, the visible (solid) or hidden (dashed) contours run between vcrit1 and vcrit2, which are functions of \u and the view angle. 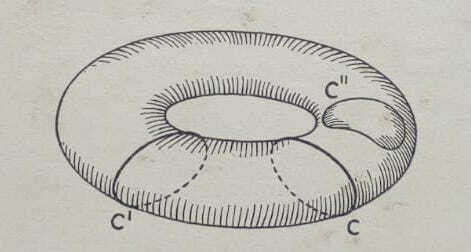 One can then vary the positions of the cycle(s) and the view angle. The theta angle has to be larger than 90 degrees and large enough that the torus has hole. The phi angle is 0. 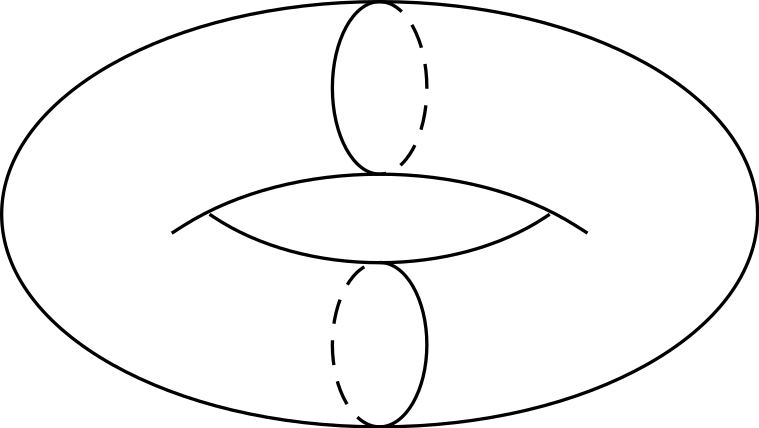 This is not a true limitation because of the symmetry of the torus. It could be overcome by shifting all \v values by minus \tdplotmainphi, if this is necessary (but at this point I do not see a motivation for this). With all these preparations we can tackle the second part of the question, namely how to achieve a shading. As long as one does not insist on a realistic shading, one can use e.g. this answer. The main purpose of this discussion is not the shading, but the question how to use the above with pgfplots. To my own surprise it is absolutely straightforward. This is because pgfplots is extremely well written and all the necessary angles are stored in pgf keys. Not the answer you're looking for? Browse other questions tagged tikz-pgf tikz-3dplot or ask your own question.